The American jeweller unveils its new advertising campaign with Elle Fanning, A$AP Ferg and an updated version of Moon River. American actress Elle Fanning peers into a window of the Tiffany & Co Fifth Avenue flagship store, donning a diamond-encrusted tiara and enjoying the beautiful sparkles in the window. Kicking off the brand's new campaign "Believe In Dreams", this black-and-white opening is a tribute to the first scene of movie classic Breakfast at Tiffany's (1961). But what follows is unexpected and disruptive. A rush of colour—Tiffany blue, in particular—floods the streets of New York City as Fanning and the city's denizens start dancing exuberantly and almost whimsically. “We wanted to take a fresh approach to the campaign, juxtaposing something visually extraordinary with a song that is a nostalgic nod to the past combined with something wholly unexpected and of the moment,” said Reed Krakoff, the brand's chief artistic officer. The concept of the campaign is in line with the values that Tiffany stands for. To the jeweller, New York, where it all started, is a city where anything can happen and that the brand's stores are where dreams come true. 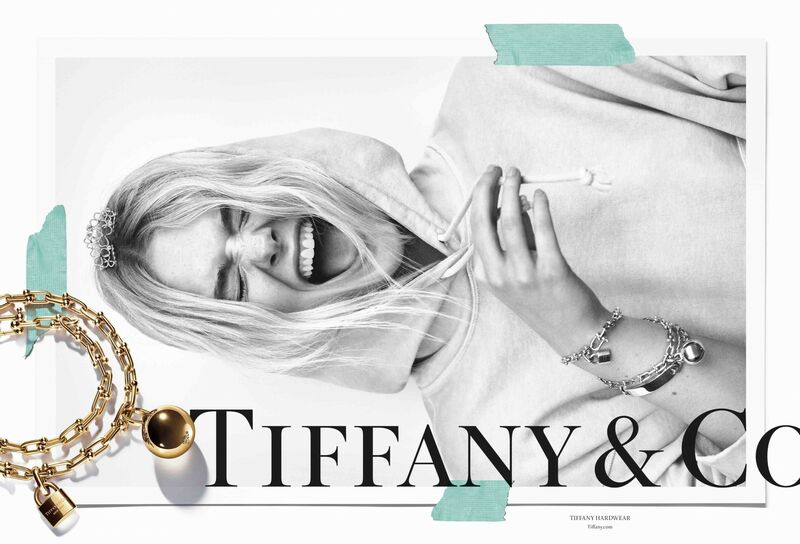 Besides the creative spirit of New York City and the magic of Tiffany, the campaign also spotlights the allure of the jewellery from the Tiffany T, Tiffany Keys and Tiffany HardWear collections. Bringing the brand's philosophy and Krakoff's vision out with this campaign are Hunger Games director Francis Lawrence, who channelled the city's energy and buzz into the short film, and choreographer Ryan Heffington, who devised the upbeat moves to reflect the brand's direction to speak to younger audiences. And if you're wondering why the campaign's theme song sounds familiar, it is because it's an updated version of Moon River, which Audrey Hepburn sang in Breakfast at Tiffany's. But at the same time, the song sounds new. It has been reimagined with brand new lyrics by hip hop artist A$AP Ferg and Fanning on vocals. A$AP Ferg's rendition of Moon River is already available for streaming on Spotify and on Tiffany & Co's homepage. Thanks to the partnership with the music streaming platform, the song becomes the American jeweller's first-ever musical recording. Ashley Barrett, vice president global public relations for Tiffany & Co said: “For the song collaboration, we loved that A$AP Ferg shared our New York City roots, with a dynamic sense of style and wit, and Elle Fanning is a longtime friend of the house whose musical talent we were delighted to help showcase."